In recent years, parents have become increasingly resistant to vaccinating their children. This unfortunate trend is endangering the lives of children who are not receiving the proper vaccinations they need and every person who comes into close contact with them. While no vaccine is 100 percent safe, the risks associated with not getting recommended vaccinations are far outweighed by the benefits of fewer diseases and viruses spread and less harmful contractions of the same diseases. Here are a few concerns raised about vaccinations and their corresponding answers. What are the Effects of Vaccines, and Why are they so Important? First, what is a vaccine and what purpose does it serve? A vaccine and a vaccination are slightly different. The difference between vaccines and vaccination is that a vaccine is the product and a vaccination is an injection of an organism with the purpose of producing an immunity in the body. Functionally, both serve to help provide immunity against a certain disease to protect humans. What Happens When I don’t Vaccinate My Child? As a Scientific American article explains, it is not just the vaccination and well-being of the child, but the community, as well. Refusing to vaccinate children spells terrible outcomes for the children themselves, let alone the people around them. The reasons behind vaccinating children and adults are twofold: first, to ensure there is some mechanism in place in the immune system to prevent the contraction of deadly diseases, and second, to prevent the spread of those diseases. Examples of the latter are the Human Papilloma Virus (HPV) and Hepatitis B vaccines. Even though it may seem unlikely that a person may come into contact with either virus, the vaccines help ensure that the person does not spread the virus even if symptoms are not present (3). In addition, vaccines can help reduce the risk of cancers like liver and cervical cancer. Moreover, although children and adults who are vaccinated for viruses like chicken pox can still develop the virus, their health outcomes and symptoms associated with the virus are milder and less painful. What About the Diseases that are Rare in the Developed World, Should I Still Get Vaccinated? Yes. Many pundits claim there is no point in getting vaccinated from diseases like measles, especially when no person they know shows signs of the virus. While these diseases may seem rare, they are still problematic in any part of the world today. As the Centers for Disease Control and Prevention explains, thousands of adults become ill and even die in hospitals in the U.S. due to diseases for which vaccines are available. 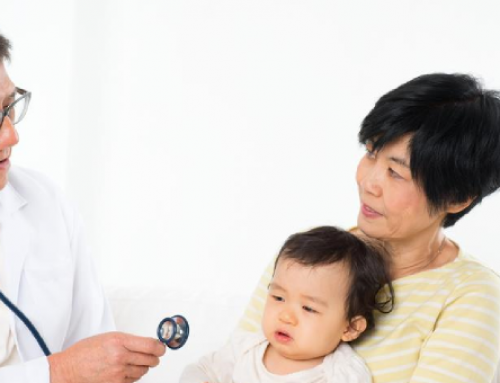 Infants and people with certain health conditions or age concerns should not receive certain vaccines, so discussing which vaccines are right is a good conversation to have with health care professionals. Can’t Vaccines Cause Conditions Like Autism? While there can be some mild side affects with taking vaccines, serious side effects are extremely rare and constantly monitored. The key thing for parents to know, for the safety and well-being of their children, as well as that of the community, is that vaccinations can help their children to avoid getting illnesses and diseases that proved deadly. This article contributed by HHP Staff Writer, Joseph McAdams.